With an accessible MSRP from just $24,575*, the 2017 Toyota Tacoma is a popular midsize pickup truck among Savannah drivers. While the Tacoma is known for its reliability and utility, the cabin of this pickup is also surprisingly well-equipped, complete with a range of comfort, style, and convenience features that will make every ride a pleasure. Learn more about some of these features below, and then tour the cabin of the 2017 Tacoma in person at Savannah Toyota, a certified Toyota dealership in Savannah, GA. Displayed in the gauge cluster, the available MID makes it easy to stay informed while driving, complete with information about tire pressure, fuel economy, the song you’re listening to, and more! 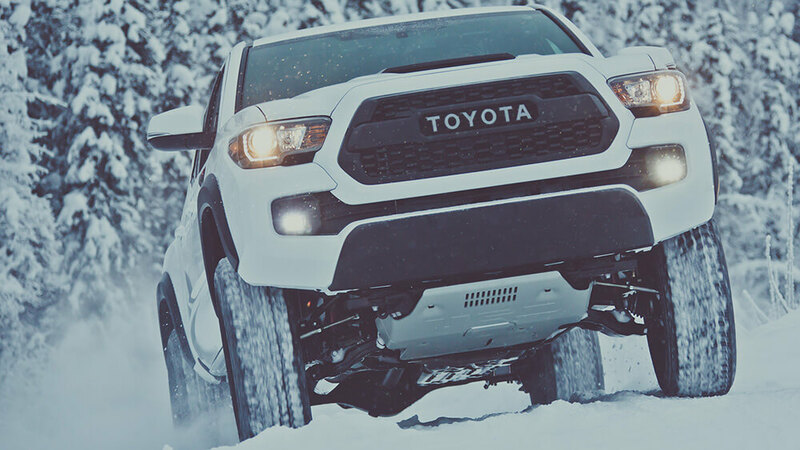 With the help of high-quality materials, a front chin spoiler, and aerodynamic design, the Tacoma’s interior offers reduced road and wind noise. From hot Pooler days to cool Bluffton nights, the Tacoma lets front seat passengers set their preferred temperature with dual-zone automatic climate control. Opt for the top-of-the-line Limited trim, and enjoy the premium comfort and sophistication of leather-trimmed upholstery with contrasting red stitching and a logo emblazoned onto the headrest. Interested in finding out more about the 2017 Toyota Tacoma and choosing the trim and configuration that’s best suited to your everyday driving needs? Take the trip from anywhere around the Lowcountry to Savannah Toyota today to check our our new Tacoma selection. Our dealership is located at 11101 Abercorn Street in Savannah, GA, and you can always get in touch with us at (855) 411-6139 for more information or to schedule a test drive.